SKYCITY Darwin is a 5 star International Hotel Casino offering total experience with first class boutique style accommodation, world class gaming facilities, premier dining and luxury amenities as well as superior conference, banquet and entertainment facilities. 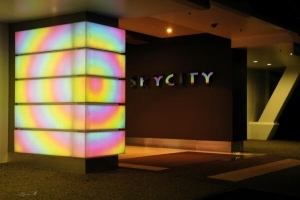 Xenian have provided SKYCITY Darwin with Color Kinetics, iColor Flex SL to create a unique, cost effective Lightwall. 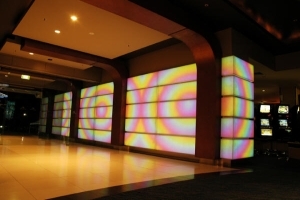 Each of the 5000x RGB LED nodes are set on a matrix to backlight Marblo panels. 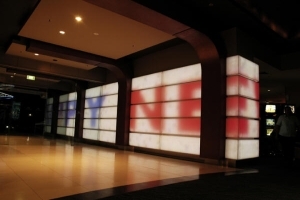 The exciting effects to greet arriving clients include various whites, block colours, text, special effects, and Flash stills/movies. Control is by Color Kinetics Light System Manager allowing SKYCITY Darwin easy to use, push button or timed presets. 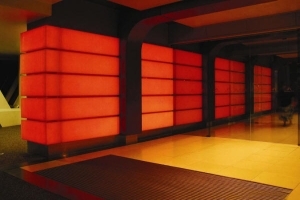 There is also a ceiling recessed radial Lightsculpture using Color Kinetics iColor Cove EC and controlled in sync with the Lightwall. 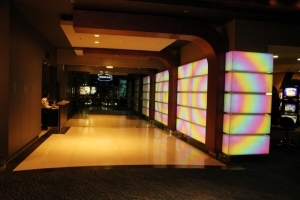 These 2 fantastic elements link the Porte Cochere, Main Gaming and Hospitality areas. 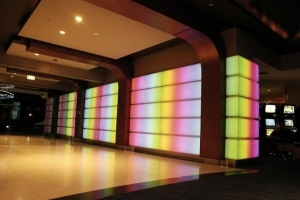 Products - ColorKinetics iColor Flex SL, iColor Cove controlled by Light System Manager. 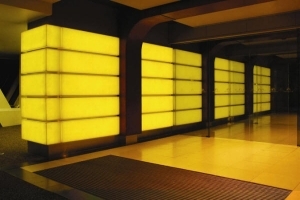 Lightline 8R System.